BEEF STROGANOFF CASSEROLE is such an easy weeknight meal, sure to please both kids and adults alike! This is an easy way to make a classic recipe and it’s so yummy. 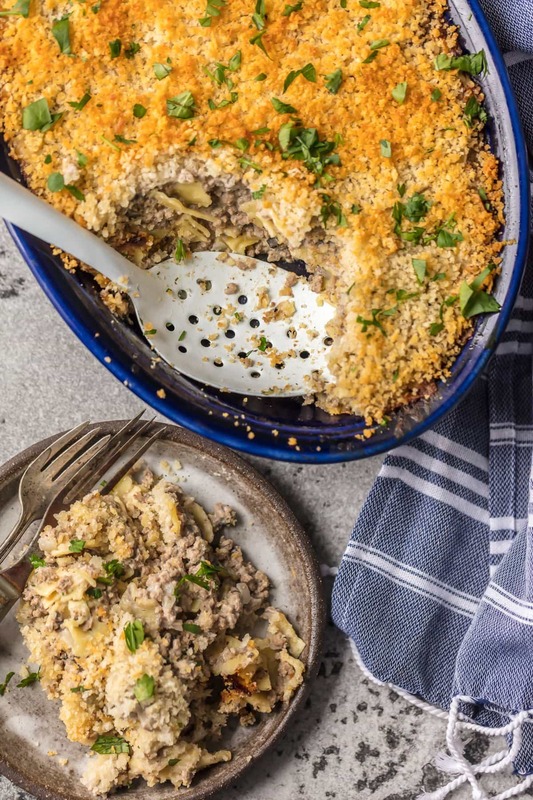 Beef stroganoff casserole is a delicious weeknight dinner that everyone will love. 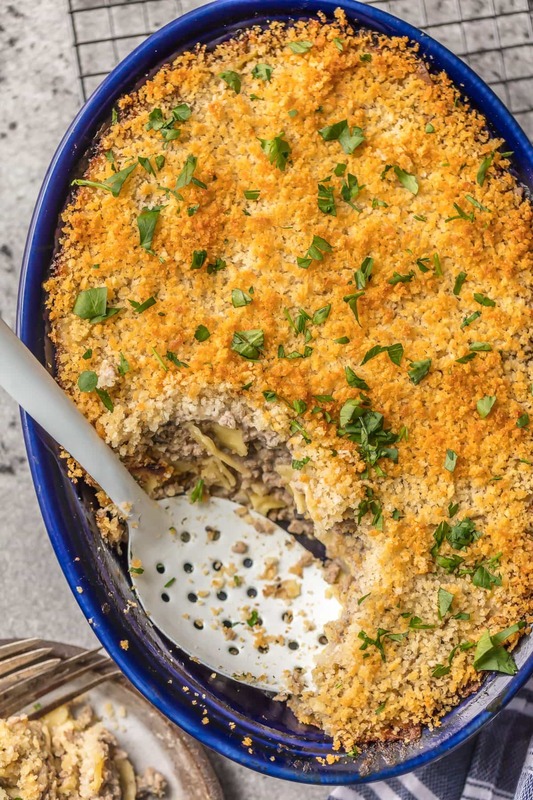 Everything tastes better in casserole form if you ask me! I’m so excited about this beef stroganoff casserole. Is there anything better than a hearty casserole? They are are so easy to throw together, which is why they’re one of my favorite weeknight dinners. 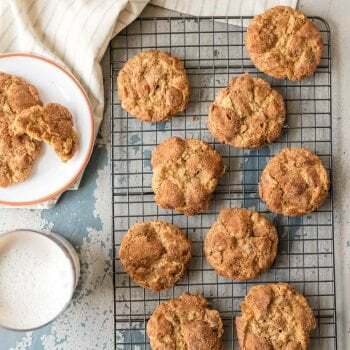 They feel like such a comfort food every single time, and they require very little cleanup since everything all bakes together. I’m a BIG fan. 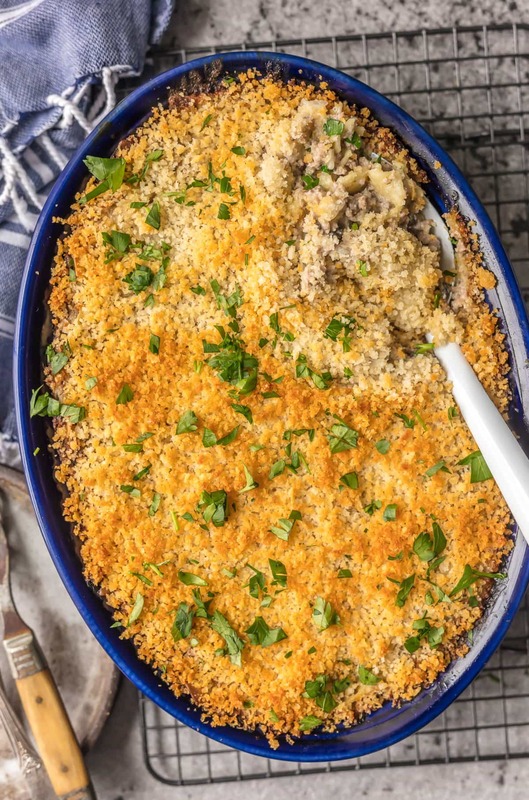 This Beef Stroganoff Casserole is especially awesome because it feels like a meal and a side dish in one. Meat, pasta, veggies, all cooked together in one dish! It feels like home and it’s oh so simple. There’s so much to love about this recipe. 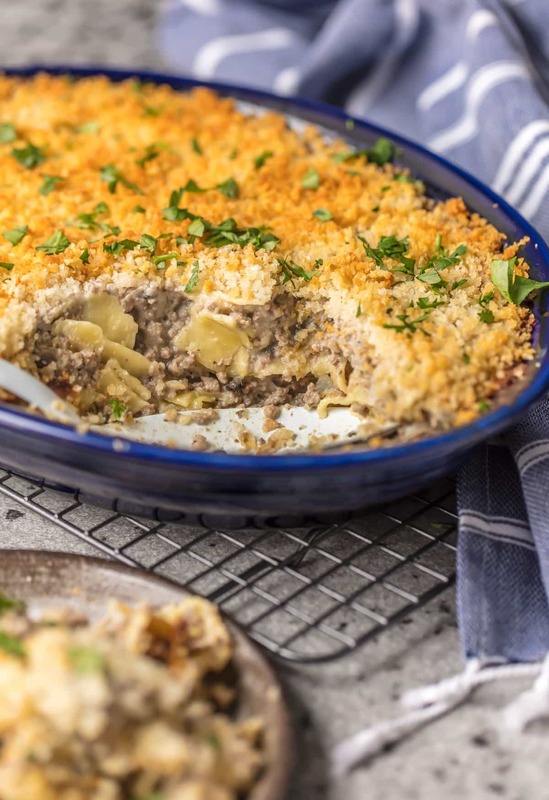 Make this Beef Stroganoff Casserole for your next weeknight dinner! 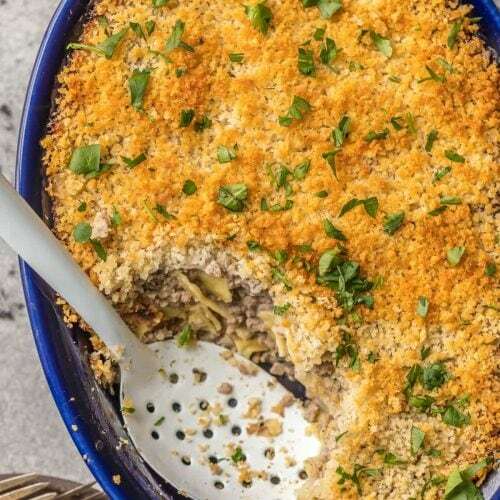 This easy casserole recipe is such a great thing to make during the week. It’s a full meal in one dish, which makes everything so simple. You’ll start by prepping a lot of the ingredients and cooking in a skillet, then transfer them to the casserole dish to bake. Can you make beef stroganoff ahead of time? The great thing about this beef stroganoff casserole is that you can easily make it ahead of time. You can prepare everything according to the recipe, pour it into the casserole dish, then cover & refrigerate it. When you’re ready to eat it, add on the breadcrumb mixture and bake it. This works great if you need to get dinner in the oven the second you get home from work…it’s already prepared and ready to go! 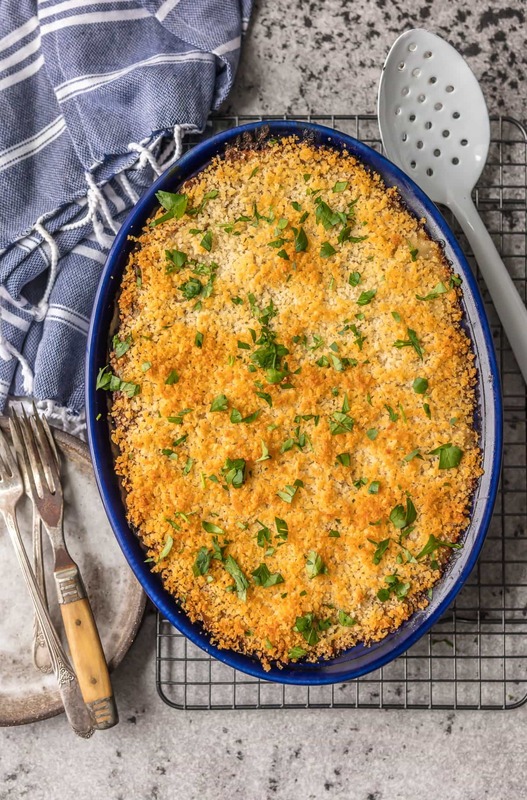 I love how easy it is to heat up casseroles the next day too. So you can save leftover and reheat them, and it tastes just as good. Sending your loved one to work with a delicious casserole always feels good. Make all those other spouses jealous! This beef stroganoff casserole is so tasty and so easy to make for an amazing weeknight meal. And don’t forget to save the leftovers to reheat the next few days for lunch! It tastes just as good a day after making. I hope you love this recipe as much as we do! See the recipe card below for details on how to make Beef Stroganoff Casserole. Enjoy! Nothing beats BEEF STROGANOFF CASSEROLE! Such an easy weeknight meal sure to please kids and adults alike! An easy way to make a classic recipe, so yum! Preheat oven to 350 degrees F and spray a 3-quart casserole dish with nonstick cooking spray. Brown the ground chuck in a large skillet. Drain and add the diced onion, mushrooms until onions are translucent. Add the minced garlic and cook 30 seconds until garlic blooms. Sprinkle the flour over the vegetables and cook, stirring continuously, for 2 minutes. Pour in the chicken and beef broths and scrape the bottom of the pan to release the flavorful pieces stuck to the pan. Add the sour cream, ranch dressing, salt and pepper. Stir well. Add egg noodles and stir well. In a small bowl, mix together the panko breadcrumbs, melted butter and chopped parsley. Sprinkle the breadcrumb mixture over the stroganoff. Bake 30 minutes, or until hot and bubbly. Remove from oven and cool on a cooling rack 10 minutes before serving. Serve with hot, crusty bread and salad. I don’t want to sound stupid, but did you cook the egg noodles before you added them to the other ingredients? Thx. According to the recipe, it says the noodles are to be cooked. Thanks Deborah, sorry I missed your comment Ronnee. Hope it ended up working out! It didn’t appear to me the noodles were to be cooked prior to adding to the rest of the ingredients, that being said the noodles not completely submerged in liquid browned and stayed crispy (raw)! The starch from the noodles along with the flour was just too much. I thought the finished product didn’t taste good and threw the entire mess away. Such a waste of ingredients, should have made the meatballs I originally intended to make. So disappointed. Sorry. It is healthy and delicious. I love this. Thanks for sharing. Oh God! 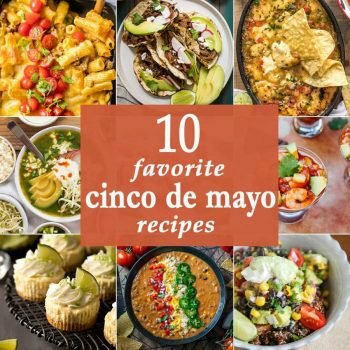 This recipe is perfect! I wish I could bake something like that! But I will try! Really try. Hope I’ll see some interesting recipes from you soon! Thank you for sharing. Something new! Need to try. I usually cook beef stroganoff otherwise.